Iter Itineris III is the third in the series of albums by experimental ensemble EPOS NEMO LATROCINIUM. Slated for release April 1st via Scry Recordings, the latest work features guest master percussionist Tatsuya Nakatani with veteran Seattle electronic and experimental artist Noisepoetnobody (Casey Chittenden Jones), and pianist and vocalist Joy Von Spain (Eye Of Nix). Iter Itineris III was recorded by Doug Haire at the Jack Straw Cultural Center in Seattle, Washington. EPOS NEMO LATROCINIUM’s two previous full-lengths in the series were both captured at Khaos Studios in Seattle. 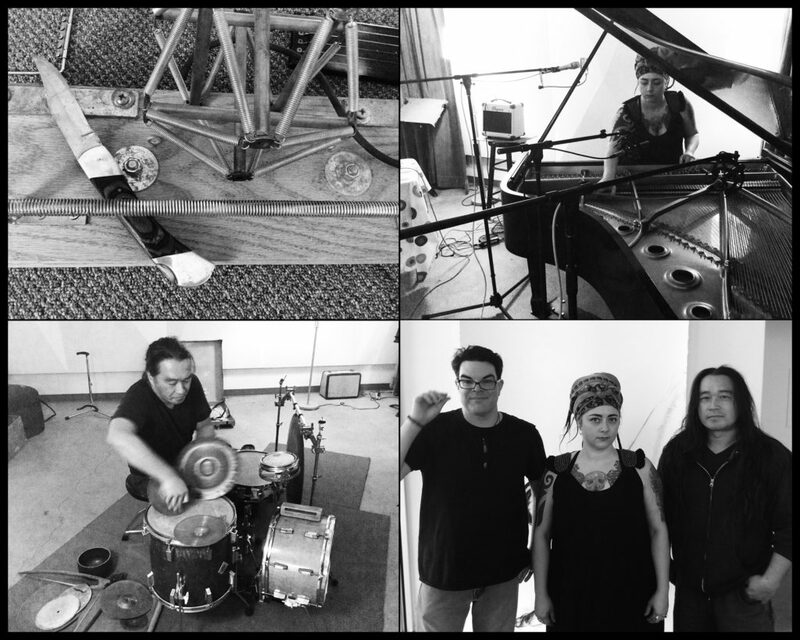 After each recording, the group performed a live improvisation as part of the Wayward Music Series with percussion, voice, electronics, stringboard, violin, and prepared piano. The group has in the past included violinist Tom Swafford and percussionist Dean Moore.